Say “good-bye” to the dreary colors of winter. 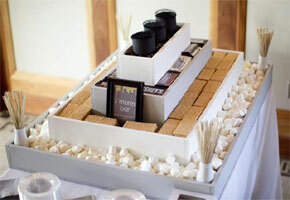 Spring is here—both in the air and on your wedding party tables! Prepare table displays decked out in the liveliest springtime hues—citrus orange, eco-friendly green, pretty lilac, or calming blue to name a few. Not sure how to coordinate such vibrant colors? 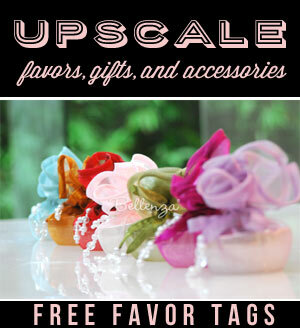 Check out our photos of the freshest pairings for spring tablescapes and favors: orange and chartreuse, pink and mint green, cornflower blue and silver, or lilac and chocolate brown. Whatever color palette you choose for your springtime wedding, just keep in mind that it’s the perfect season to experiment with color. So, go ahead. Jump into spring! 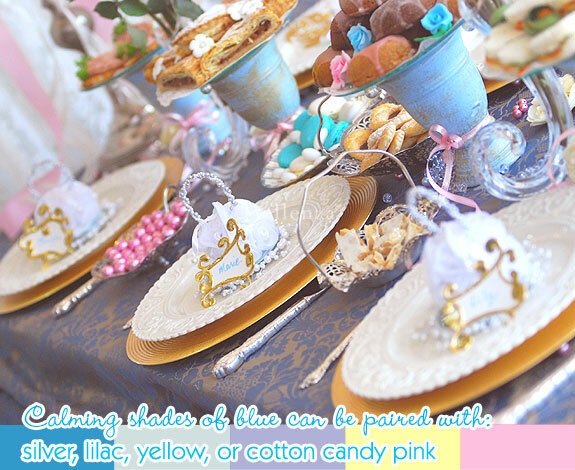 Pair calming shades of blue with hues of silver, lilac, yellow, or cotton candy pink. 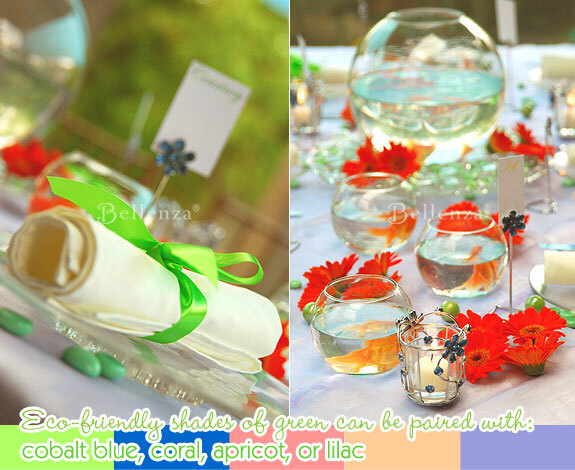 Infuse eco-friendly shades of green that can be paired with cobalt blue, coral, apricot, or lilac. 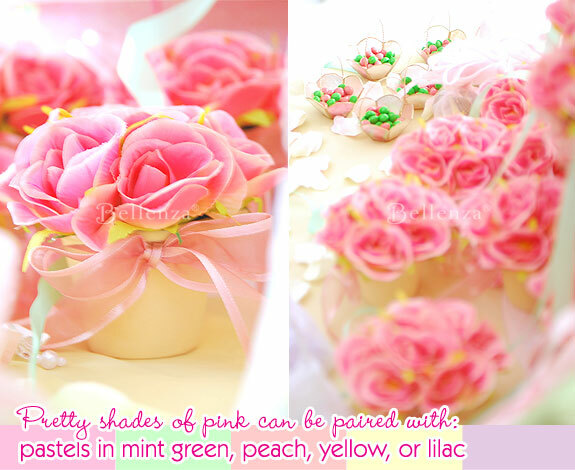 Create a pastel palette with pretty shades of pink that can be paired with mint green, peach, yellow, or violet. 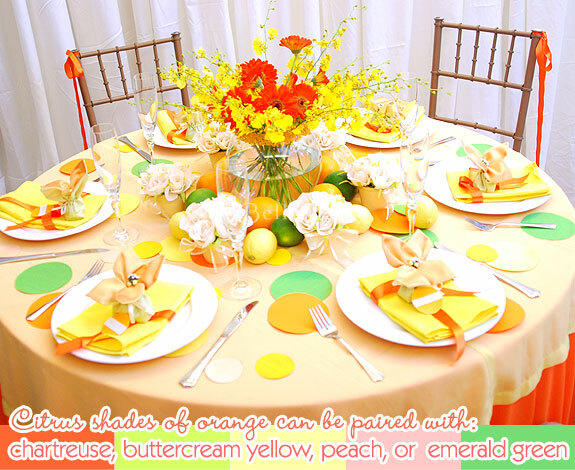 Assemble a palette of citrus-inspired hues with orange that can be paired with chartreuse, buttercream yellow, peach, or emerald green. 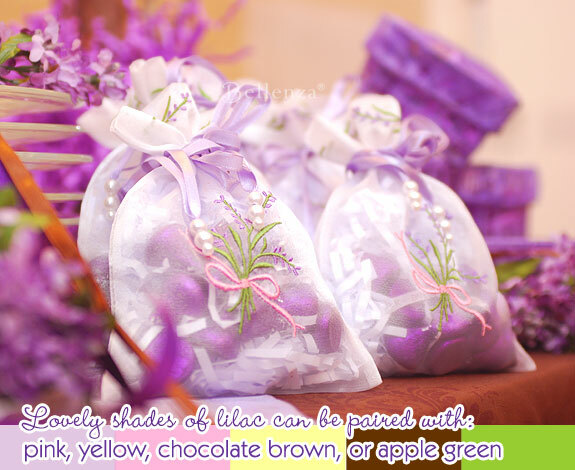 Bring in lovely shades of lilac that can be coordinated with pink, yellow, chocolate brown, or apple green. 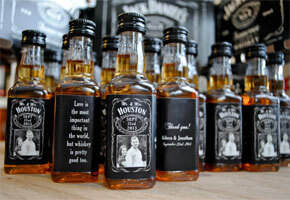 Next Unique Groomsmen’s Favors You Can Make Yourself – Chess Ties! I love the pretty color palette using lilac. Can you suggest some flowers that I can use if I want to have a lilac and ivory color palette for my wedding? Thank you. For a preview of Pantone’s Spring color palette: you can view their report, here. Aside from lilacs, some pretty flowers include lilac roses, hydrangeas, larkspur, or hyacinth are great flowers that you can pair with an ivory color palette. Also, adding some green hues will make it extra pretty! Hello dear, I am having problem about my mottef for my upcoming wedding this Feb 2010, wondering if what is the best combination color for olive green and gold? what other color that I can blend with it? do you think that this is the best combination? plz help me. I just love the orange and lime green color combo especially since you can gerberas! My fav flower! For a lovely spring time centerpiece, try using a birdcage filled with lovely blooms such as peonies or tulips. This is perfect for a garden tea party!